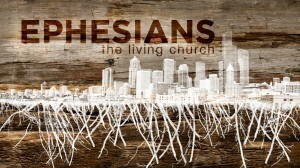 Today, in Ephesians 6:5-9, we look at the work of the gospel and the gospel at work. God wants to redeem and transform all of our lives, not just a portion of them. Therefore, to be a Christian does not merely mean your Sunday schedule changes. Rather, by trusting and treasuring Jesus, you receive new forgiveness, are made part of a new people (i.e. the church), and placed in right relationship with a new, true, God. This naturally results in redeemed marriages (5:22-33), redeemed families (6:1-4) and redeemed workplaces (6:5-9). The Bible is extremely practical. God is laying out the divine ordering of the most important relationships in our life. God wants to redeem and transform all of our lives, not just a portion of them. As theologian and pastor Abraham Kuyper once said, “there is not a square inch in the whole domain of our human existence over which Christ, who is Sovereign over all, does not cry: ‘Mine!’” Therefore, to be a Christian does not merely mean your Sunday schedule changes. Rather, by trusting and treasuring Jesus, you receive new forgiveness, are made part of a new people (i.e. the church), and placed in right relationship with a new, true, God. This naturally results in redeemed marriages (5:22-33), redeemed families (6:1-4) and redeemed workplaces (6:5-9). The Bible is extremely practical. Here, in 5:22-6:9, God is laying out the divine ordering of the most important relationships in our life. Today, in 6:5-9, we look at the work of the gospel and the gospel at work. What does the Bible say about slavery? Many object to Christianity on the grounds that slavery is “advocated” in passages such as this one. But, we have to ask what exactly Paul is talking about. The slavery of the Greco-Roman empire was more like indentured servitude (putting yourself under a master for a designated period of time in exchange for basic good). This is not the race-based slavery we think of from the 17-19th centuries. Slavery was universal in the ancient world. It was estimated there were up to 60 million slaves. Often, slaves could purchase their freedom, marry, run a business, and own property. Many were set free by 30 years of age. Regularly the economic and living conditions of slaves was better than those who were free. At times, those who were free sold themselves into slavery as a means of economic advancement. What does the Bible say about work? God himself is a worker, creator, designer, & cultivator. In Genesis 2, God creates Adam and gives him work to do (“work the garden”) before sin entered the world. As image bearers of God, we too are created to work, create, steward and manage. We image God who works, when we work. Yet, b/c of sin, work is under a curse which is why work is hard, difficult, and frustrating. But, though work is under the curse of sin, he is going to redeem all of it. One day, from what we can tell, there will be work in the new heavens and new earth – work that is no longer under the curse. Work is under a curse, but work is not a curse itself. We’ll look at two aspects of work in this section: position and practice. How do we approach work (position)? And, what should it practically look like (practice)? First, our POSITION in CHRIST comes before our position at work. (“as you would Christ” vs5, “as servants of Christ” vs6, “as to the Lord” vs7, “from the Lord” vs8, “Masters, do the same to them…” vs9 Before your position at work, comes your position in Christ. (i.e. identity in Christ) This means that you first see yourself as Jesus sees you. You belong to Jesus. By faith in Christ, your sins forgiven, your life has new purpose and new significance. Your worth, value, hope, joy, purpose, meaning are bound up in your position – identity – in Christ, not in your work. Q: In your work right now, does your position in Christ come before your position at work? Q: When you work do you know what you’re working for? From acceptance or for acceptance? Q: Burning yourself out b/c you are trying to define yourself by your work? Or allowing how Jesus has defined you to empower your work? Second, our position in Christ shapes our PRACTICE at WORK. Regardless of your specific vocation, you are sent by God to incarnate the message and mercy of Jesus wherever you are. Regardless of vocation that is your calling and your mission. This does not mean we preach the gospel on the job, but rather we intentionally, lovingly, sacrificially invest in our co-workers. It means that, by faith in Christ, we become the kind of people that intrigue and draw others to the grace of God, causing them to ask, “Where do you get hope?” There is beauty in every industry because it was created by God, but there is also ugliness because it is broken by sin. So, we get to be a part of reweaving what is broken in our industries via excellence, integrity, creativity, reliability and working as to the Lord. This is is what it means, in part, to bring renewal to our city. Get to work, but first get to Jesus, working from your acceptance, not for it.